Michelle Schwarzmann, M.A., C.N. is an educational therapist whose practice focuses on teaching students with learning disabilities (including Dyslexia, Nonverbal Learning Disabilities, Asperger’s Syndrome, Visual/Auditory Processing issues, reading/writing/math difficulties) and Attention Deficit/Hyperactivity Disorder (ADD/ADHD) how to learn. Michelle believes that we must incorporate a more integrative approach to support the success of traditional educational therapy techniques. She has found that self-awareness, diet, meditation, yoga and other movement, and empowerment all assist in allowing students access to learning and alleviating many symptoms of ADHD, anxiety, and depression. Michelle has been helping children in various educational capacities for over 20 years. She taught 4th through 6th grade at a non-public school for students with learning disabilities, created an after-school tutoring program for a private school, ran her own tutoring company, training and referring tutors, for nine years, and currently supervises educational therapists in getting associate and professional levels in the field. Michelle has also presented on learning disabilities for professionals earning continuing education credits, served as a board member on curriculum and fundraising committees for New Horizon School Westside, was an on-site educational therapist at St. Martin of Tours Elementary School, and served on the board for the San Diego branch of the International Dyslexia Association. Michelle is a Board Certified Educational Therapist (BCET) through the Association of Educational Therapists. She has a Bachelors Degree from the University of California, San Diego and a Master Degree in Special Education/Educational Therapy from California State University, Northridge. She is trained in various programs, some of which include Wilson, an Orton-Gillingham approach to teaching Reading and Spelling, Processing and Cognitive Enhancement (PACE), and The Listening Program. She received her certifications in clinical nutrition and yoga. She’s worked with students with various learning differences such as, but not limited to, Dyslexia, Dyscalculia, NVLD/NLD, Asperger’s syndrome, SLD, and the twice exceptional student in addition to those experiencing anxiety, depression and/or ADHD/ADD. Julie believes that through mindfulness instruction and the development of metacognition, students are able to gain an awareness and understanding of their unique learning style. This awareness, combined with instructional strategies targeted to their specific learning needs will enable them to become more effective and efficient learners. Julie is an associate educational therapist through the Association of Educational Therapists (www.aet.org). She received her Master’s Degree in Education from California State University, San Marcos. She has teaching credentials in both multiple subject/elementary education and special education for grades K-12. She has nine years of experience as an education specialist in public schools working with students with a variety of learning needs including those with Dyslexia, ADHD, NVLD, and SLD. Julie has training in multisensory reading instruction through Lindamood-Bell and has attended trainings on mindfulness for youth through the UCSD center for Mindfulness. 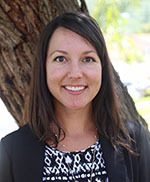 She has previously worked at San Elijo Middle School and Urban Discovery Academy.